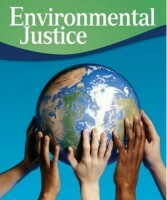 Environmental justice (EJ) is one of those terms that have five or six definitions. The leading writer on the topic, Robert Bullard, considers the chief problem to be racism, tracing the origin of the terminology to a 1982 protest in Warren County, North Carolina, where African-American protested the placement of a dump concentrating PCBs from 14 other counties around the state. This rural county is 84 percent Black. Bullard maintains that African-Americans suffer disproportionally. Partly because they are more likely to live in the inner city or rural South, to have lower incomes due to discrimination and to have fewer resources for mobilization due to less education and wealth. But he argues that even controlling for these variables, racism makes the situation worse. Besides exposure to toxics, he points to lead paint and polluted air. Bullard advocates that all people should be protected against environmental degradation, the prevention principle, and shifting the burden of proof to the polluters. The Sierra Club offers a different definition of environmental justice, never mentioning race. Its 1993 statement of principles preferred to guarantee rights to “all people.” Indeed, its justice principles are indistinguishable from its general principles. Number 1 A says “Corporate influence over governments must be constrained.” Principle 2 advocates zero waste, zero emissions and zero discharge. Six years later it addressed more directly the problems of communities suffering due to racism and poverty, promising to consider the wishes of the residents. Since then not much has changed in their policy. 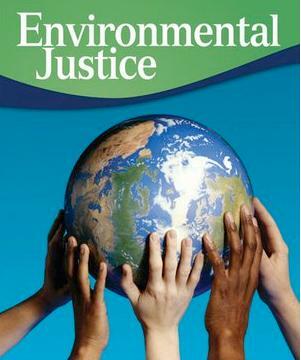 The official definition of environmental justice from the U.S. Environmental Protection Agency (EPA) is “the fair treatment and meaningful involvement of all people regardless of race, color, national origin or income.” Its origin is Executive Order 12898, signed by President Bill Clinton in 1994, which mentioned minorities and low income populations in its title. The Bush administration reaffirmed the agency’s commitment to the Clinton order. Not surprisingly this continued in the Obama administration. A year ago, the EPA celebrated the 20th anniversary of Executive Order 12898, declaring last February to be “EJ Month.” The agency pointed with pride to requirements to incorporate EJ into rule making, permitting and enforcement. This is to be government wide, not just Environmental Protection Agency. Like other executive orders, EO 12898 occupies a position in the legal netherworld with no claim to have authority under provisions of laws like the Clean Air Act, the Comprehensive Environmental Response, Compensation and Liability Act (CERCLA) or the Civil Rights Act. Section 6-609 of the order defensively asserts its vaporous status. EO 12898 prohibits discrimination by the executive branch on the basis of race, color, national origin or income level. Actual laws have little or nothing to say about environmental justice. The National Environmental Policy Act (NEPA), the Clean Water Act, the Toxic Substances Control Act and the Resource Conservation and Recovery Act (RCRA) say nothing. The Superfund Amendments and Reauthorization Act (SARA) amendments to CERCLA provide for information to the communities near Superfund sites, but don’t mention EJ. Thus, the basis in law is flimsy. This may make it vulnerable to challenge in the courts. The new Republican majority of the Senate has declared Environmental Protection Agency rules are its first target. Note that this is rules, not amendments to laws like the Clean Air Act or the Clean Water Act, which President Obama would be able to veto. Rules citing authority under EO 12898 might be especially vulnerable. As quoted in The Hill in January, Senate Majority Leader Mitch McConnell (R-Ky.) identified his top priority as “to try to do whatever I can to get the Environmental Protection Agency reined in.” On the other hand, attacking EO 12898 might be unnecessary since it is largely symbolic. There may be no need to appear bigoted. Blocking rules on mercury emissions, drainage from coal mines or mountain top removal might be more effective.